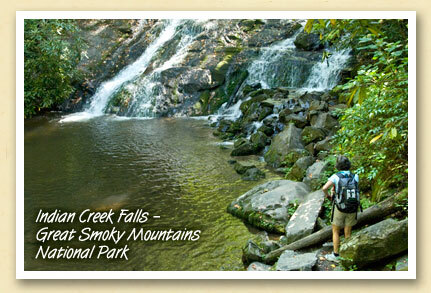 Today, most visitors to the Deep Creek area of the Great Smoky Mountains National Park take the short one-mile walk to admire Indian Creek’s beautiful falls. But after learning more about legendary angler, you may want to continue your walk northward through what was once “Cathey’s Place”. Bryson City naturalist George Ellison related two classic Mark Cathey stories in his Smoky Mountain News “Mountain Views” column in 2001. Ellison wrote, ‘He earned his living as a lumber-herder, trapper, and hunting or fishing guide. 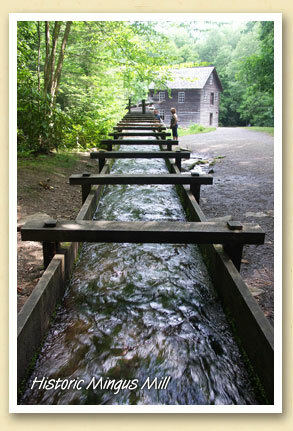 When the splash dams on the creeks in the Smokies were released, lumber-herders ran along the banks to clear jams. Some few, like Cathey, had the agility and courage to ride the logs down the creek, ducking branches and risking sure death in the event of a miscue.” Read entire article. In his new book Fly Fishing in the Great Smoky Mountains National Park, Jim Casada writes about Indian Creek and it’s most famous resident. When fishing Indian Creek, Casada writes, “…you can take quiet comfort in knowing that you are wading and casting in the footsteps of Uncle Mark Cathey.” Download a PDF excerpt from Jim Casada’s new book and read chapter 23 “Indian Creek”. 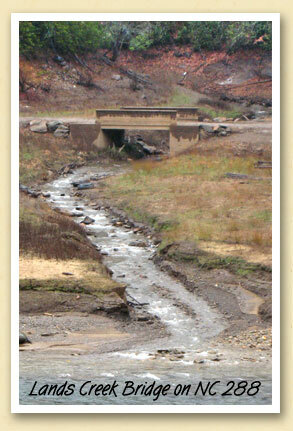 Download a PDF map of Deep Creek’s trails and waterfalls. At just 19 years old, Robert Rybak and his fiancé Evadean drove all the way from Columbus, Ohio to Bryson City. Too scared to ask their parents for permission, the couple made the trip to North Carolina to secretly get married. February 22 marked 50 years of marriage for the couple. Robert, who was in the Air Force, and Evadean, an operator at Ohio Bell, met at a popular restaurant near the Air Force Base. She was there with a friend, and he showed up after a USO dance. Evadean’s friend teased her saying she wouldn’t be able to get a date with Robert. She proved her friend wrong. The two met and soon fell in love. Need a Hard-to-Find Item? 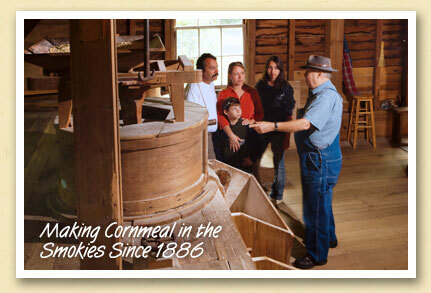 Try Bryson City’s Oldest Store. 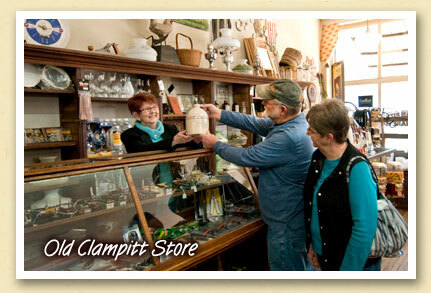 “Old Clampitt”, as it’s known in Bryson City, is the antithesis of the modern big box store. It’s an old-fashioned country store where you can still find such uncommon necessities as beekeeping supplies, horse tack and chicken feeders. The venerable N.C. Clampitt Hardware Store is the oldest continuously-operated business in Swain County and a fixture on Bryson City’s Main Street for generations. In 1982, when owners Monte and Diana Clampitt expanded the business into larger space just three doors down the street, they kept the old store open, to the delight of locals and visitors alike. Above, shopkeeper Teresa Maynard shows an old-fashioned crock jug to Sevierville visitors Tom and Linda Lakey. 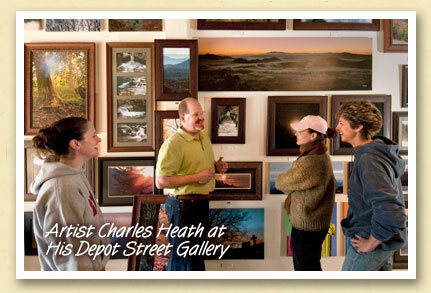 When artist and photographer Charles Heath first opened his Bryson City Gallery, he did not realize that his grandfather had once worked in the same building. Then he learned that the Depot Street structure had once been occupied by Slayden Flakes Distributors, the wholesale grocery company where his grandfather Charley Browning was employed. 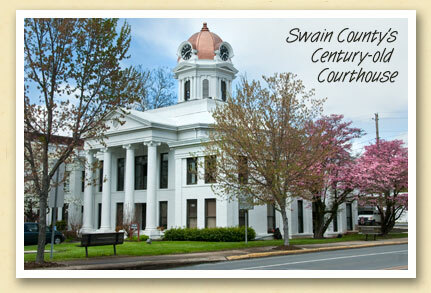 Charles’ family has long been a part of Bryson City and Swain County, North Carolina. 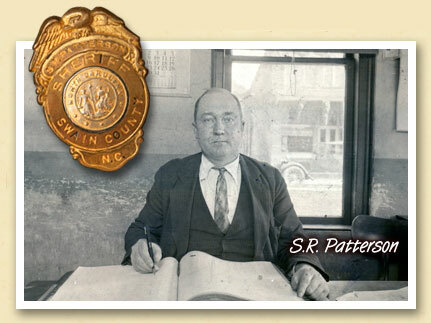 His great-grandfather Samuel R. Patterson (1928 photo below) served the county as Register of Deeds and later as Swain County Sheriff in the 30s and 40s. That’s his badge, below. Each Winter, when the Tennessee Valley Authority lowers the lake level by more than fifty feet, Fontana Lake reveals some of its fascinating history, like the old Highway 288 bridge pictured above. In the Summer, at full pool, the lake’s shoreline reaches the tree line at the top of the photo. Highway 288 once connected Bryson City with the communities of Fontana, Bushnell, Forney and Judson along the Tuckaseigee River. But with the creation of the 10,230-acre reservoir in 1944, both the communities and Highway 288 were completely inundated, with only portions resurfacing during TVA’s annual Winter drawdown. The bridge spans Lands Creek, which flows out of the Great Smoky Mountains National Park just west of Bryson City. Several people have asked about visiting this bridge. From the Dollar General store in downtown Bryson City, drive west on Bryson Walk. After you pass the Lumber Mill, look for Old Hwy 288 which peels off to the left and continues along the Tuckaseigee River. Continue on 288 until it ends at the municipal boat ramp. 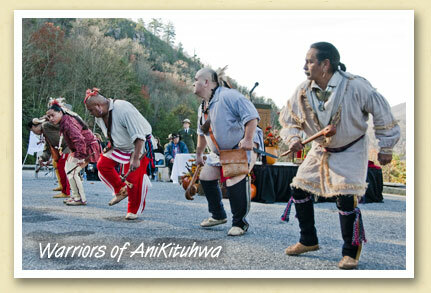 From there, walk north along the shoreline about a mile to the Lands Creek Bridge. You can also see it from the pull-off on Buckner Branch Road, across the lake (where I took the photo). While the author never said, many scholars believe that the statue described in Thomas Wolfe’s “Look Homeward Angel” is the gravestone of Fanny Everett Clancy in the Bryson City hillside cemetery (above). 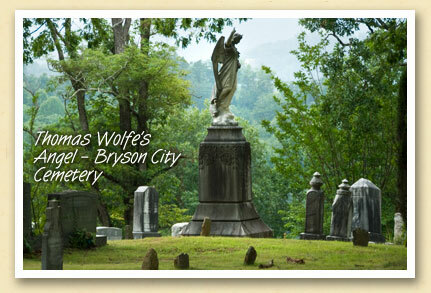 Others believe Wolfe’s “angel” was a composite of two statues, the one in Bryson City and another in Hendersonville, NC. Both were imported from Carrara, Italy and sold at the Asheville tombstone shop owned by Thomas Wolfe’s father in the early 1900s. The Hendersonville angel has the smile and the foot of the angel described in the novel, while the Bryson City angel holds the lily that Wolfe described. 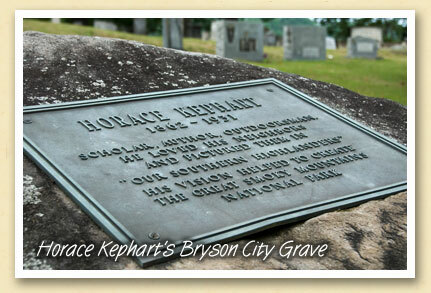 While at the Bryson City cemetery, also look for the large boulder marking the grave of Horace Kephart (1862-1931). The plaque reads “Scholar, Author, Outoorsman. 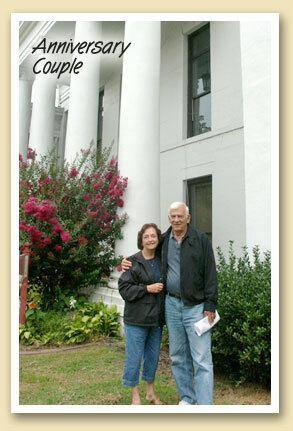 He loved his neighbors and pictured them in “Our Southern Highlanders”. 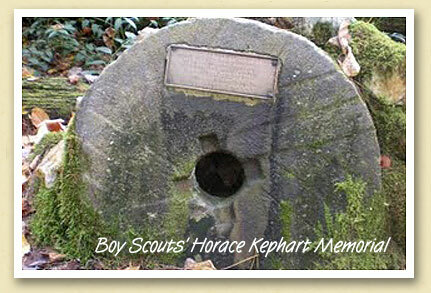 His vision helped to create The Great Smoky Mountains National Park.” Kephart also penned “Camping and Woodcraft” based on a series articles he wrote for Field and Stream. The Great Smoky Mountains National Park is the nation’s most visited park, but only a few of those visitors attempt to see it all — like Sharon McCarthy, who’s well on her way to hiking all 900 miles of trails in the Park. And she’s doing it as a fundraiser to benefit outdoor programs for Girl Scouts across North Carolina. Sharon (aka Smoky Scout) chronicles her hikes on her blog “Great Smoky Mountains Girl Scout Challenge“, an online journal illustrated with dozens of photos, like the one above of fellow hiker Judy Gross. 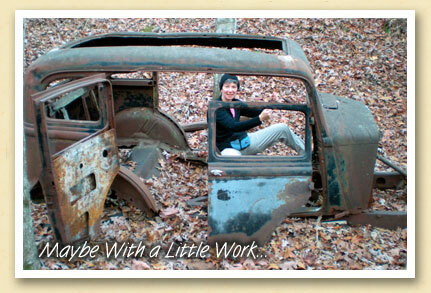 While hiking along Lakeshore Trail, near Fontana Dam, the two came across the old car. The Mountain Farm Museum is indeed a collection of 19th century relics, but there’s nothing stuffy about this open air museum. Its location — in a lush green valley on the banks of the Oconaluftee River — is literally in the shadow of the Great Smoky Mountains. In summer, the Museum is a working farm, with crops such as squash, corn and tomatoes cultivated in the garden and live farm animals grazing in the fields. Just as it was a century ago, fall is a busy time on the farm as the summer’s crops are preserved for the winter. And on Saturday, September 20, you can see it all, with live demonstrations of soap making, hearth cooking, hominy, apple butter and cider, plus a working cane mill and wood-fired cooker used for the making of sorghum syrup. 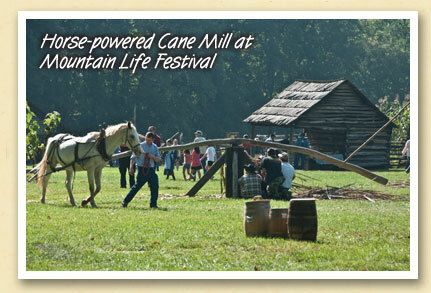 The event is the annual Mountain Life Festival, a one day event from 10 am – 4 pm. 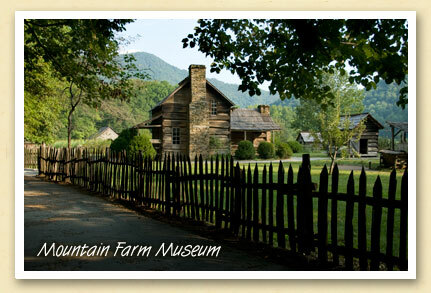 The Davis House — All the historic log structures in the Mountain Farm Museum were gathered from throughout the Smoky Mountains when the museum was constructed in the 1950s. The main farmhouse (above) was originally built by John E. Davis and his two oldest sons in the Indian Creek – Thomas Divide area north of Bryson City. The log house was built from chestnut wood before the chestnut blight decimated the American Chestnut in our forests during the 1930s and early 1940s. 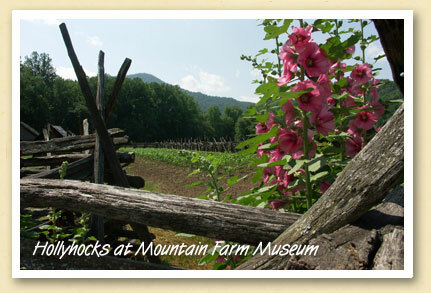 The Mountain Farm Museum is located adjacent to the Oconaluftee Visitor Center on US 441 north of Cherokee and just inside the Great Smoky Mountains National Park. The Museum is open daily from sunrise to sunset, year around. 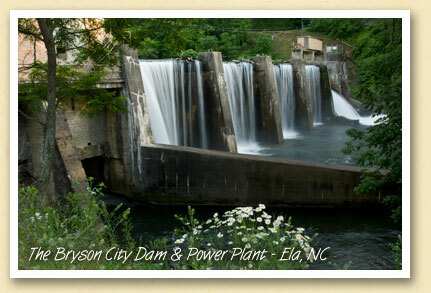 Located on the Oconaluftee River in Ela, about five miles east of town, the Bryson City hydroelectric plant was constructed for the town in 1924-25. 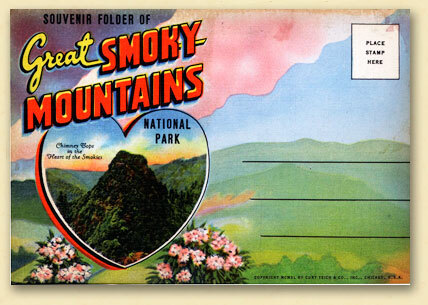 It was purchased from the Town of Bryson City by Nantahala Power and Light (now Duke Energy) in 1942. The sale was approved by the town board and then by the majority of the registered voters. The town had been trying to sell the hydro plant since the late 1930s. It includes a multiple-arch type concrete dam, originally known as Oconaluftee Dam, and a power house with two turbines and generators. 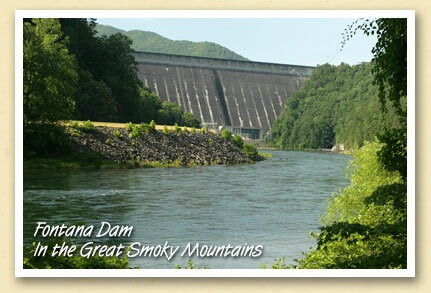 The 36 feet high and 341 feet long dam still generates electricity for the Duke Energy system. 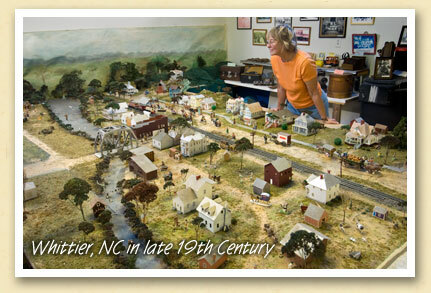 A hundred years ago, Proctor, NC was a bustling lumber town on Hazel Creek with more than 1,000 residents. 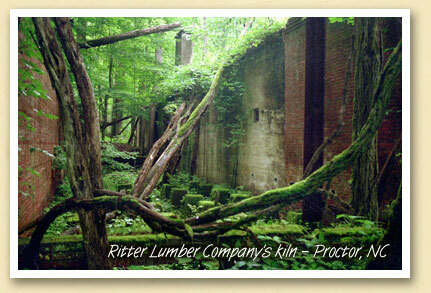 Except for the ruins of the Ritter Lumber Company’s kiln (above), the cemetery and one house used by the Park Service, nature has reclaimed Proctor and left few visible reminders of its fascinating history. And with the building of Fontana Dam and Lake in 1944, the remote Hazel Creek area became virtually isolated and only accessible by boat. This summer, there’s a unique opportunity to visit Proctor when historian and author Lance Holland conducts guided tours of the abandoned lumber town.